Dr. Rhea Phillips, a board-certified dermatologist, will begin treating patients at the Preston Center office, located near the Park Cities, on May 22. Dermatology is the perfect field for Dr. Phillips’ curious nature and dedication to finding answers. Dr. Phillips finds solutions to problems that range from acne to skin cancer. 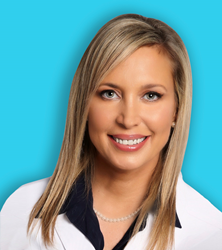 With every day and every patient presenting a unique issue, Dr. Phillips is able to help a wide variety of people, ranging from the very young to the elderly with her well-studied skills and her easygoing, welcoming personality. Dr. Phillips obtained her medical degree from Louisiana State University Medical School in New Orleans. She completed her internal medicine internship at St. Joseph Medical Center in Houston. She remained in Houston for an extensive research fellowship in cutaneous T-cell lymphoma and malignant melanoma at MD Anderson Cancer Center, followed by her dermatology residency at Baylor College of Medicine. Dr. Phillips has treated skin cancer on all types of patients, including young children. By consistently keeping her skills sharp in the detection of melanoma, Dr. Phillips has identified thousands of pre-melanoma lesions on patients. Dr. Phillips takes the issue of skin cancer very seriously and constantly works to educate patients on how they can become active partners in keeping their skin healthy.